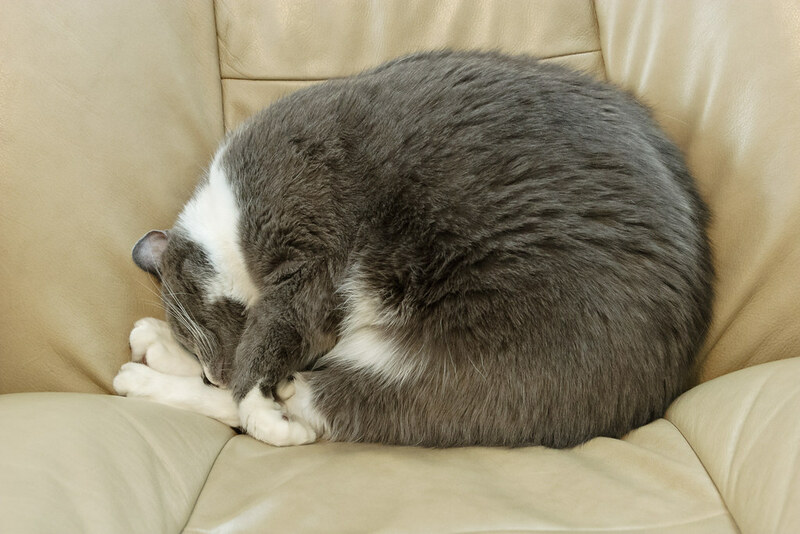 Of the six cats we’ve had, none seemed so peaceful as they slept as our gray tuxedo, Templeton. Whether curled up or sprawled out, asleep or just waking up, he seemed at one with the world. This entry was posted in Pets and tagged cat, gray tuxedo cat, sleeping, Templeton. Bookmark the permalink.